There couldn’t be a better way to start the New Year than with a beach holiday. Forget the season and the weather, if you ask me anytime is a good time to visit a beach resort. Back in December, when my better half and I were planning our honeymoon, we wanted something simple and low-key. No fancy exotic destinations just because that’s the trend or because people just love to show off on social media. All we wanted was a beach where we could plant ourselves not move anywhere for the next seven days. Since it was our honeymoon we were certain that we just wanted to relax and not go out anywhere. No exploring, and no visiting new places. So we didn’t see a point of going somewhere far off, spending all our savings on one international trip, and then sitting in the hotel all day. So during our research for the perfect beach resort along with cheap air tickets, which would offer us everything we wanted, we shortlisted a few of them in India. Situated on the lovely ECR road, which itself is a treat to drive on, Ocean Spray Pondicherry tops the list. An upscale resort with a man-made lake, this exudes luxury in every sense. They have a variety of villas and rooms, some with their own private infinity pool, and some a sky Jacuzzi – a private Jacuzzi in the balcony. 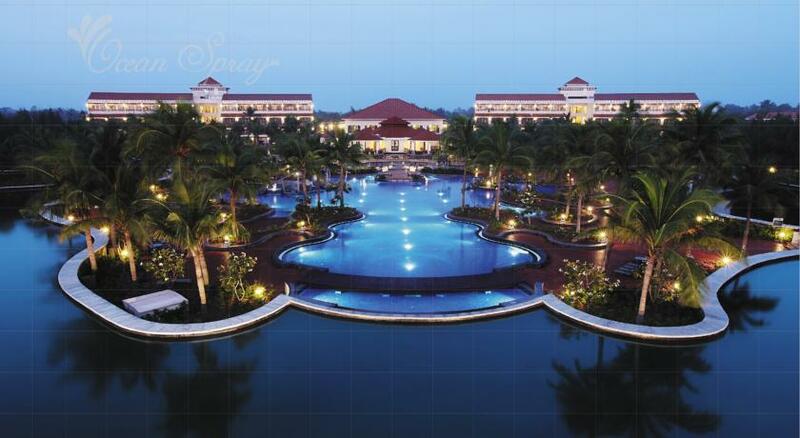 About 15km away from Pondicherry, this place provides the perfect environment to relax and laze around. You can easily fly down to Chennai and make a road trip out of it. The breakfast buffet at this place is literally to die for! The beach is right across the resort and you can have a wonderful sea view while munching on their delicacies. The highlight of the resort is definitely the huge pool. 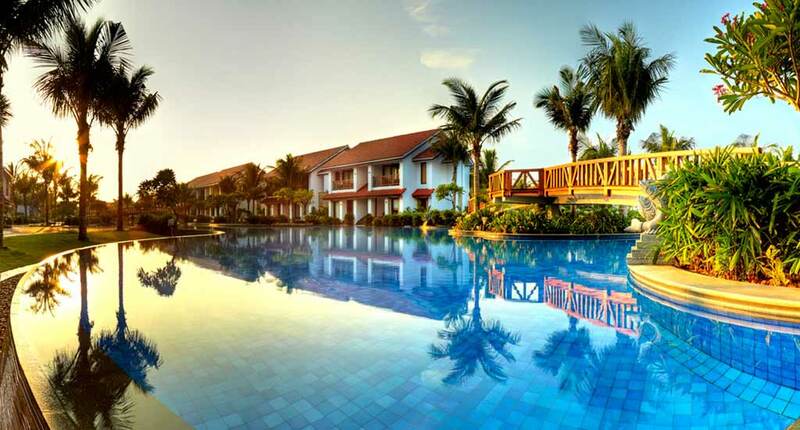 One of the best luxury boutique hotels in Goa, Mayfair has a lot to offer. Where the Sal River and Arabian Sea meet in South Goa, this resort provides you with a beautiful view of the backwaters and the beach. It’s quite far from the town but has all amenities so that you don’t really feel the need to step outside at all. Okay, so a beach resort in Kerala simply cannot be anything less that heaven. It’s called God’s own country after all! It’s a cliff top beach resort with a stunning view of the seacoast. A popular destination for weddings and for holidayers both, The Leela has romance written all over it. All of their rooms are sea facing and spacious so there is really no fight there. 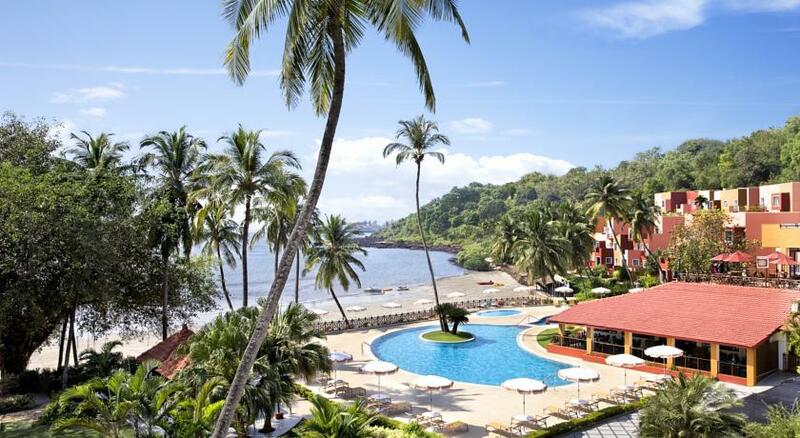 A Portuguese themed beach side resort, this is in between North and South Goa. It has its own private beach which is literally ten steps away from the rooms, and an amazing pool with a sea view. The resort has a heavy influence of Portuguese architecture and style, which makes it really different from all the other resorts. The food is amazing and the staff are friendly and attentive. We finally chose Cidade de Goa, and we couldn’t have made a better choice, in terms of the resort, location and budget. Stay tuned for the next post where I’ll be spilling all the details about the resort and our stay there! Great work. Nicely written with amazing pictures. Thanks for sharing with us. 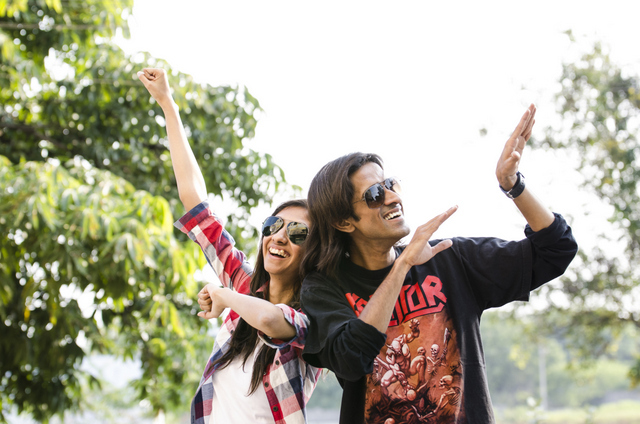 The Girl At First Avenue is a travel, fashion & lifestyle blog run by Chandana & Kalyan featuring their whimsical musings, as they try to satiate their ever present itch for TRAVEL! Indian Jewellery Pairings 2 – Jumpsuit with Jhumkas! © 2010-2019 The Girl At First Avenue. All Rights Reserved | Crafted in India with by The Twenty3 Co.